Well-regarded in the industry for reliable gene expression, SBI’s lentiviral vectors come in a variety of formats that support a wide range of applications. 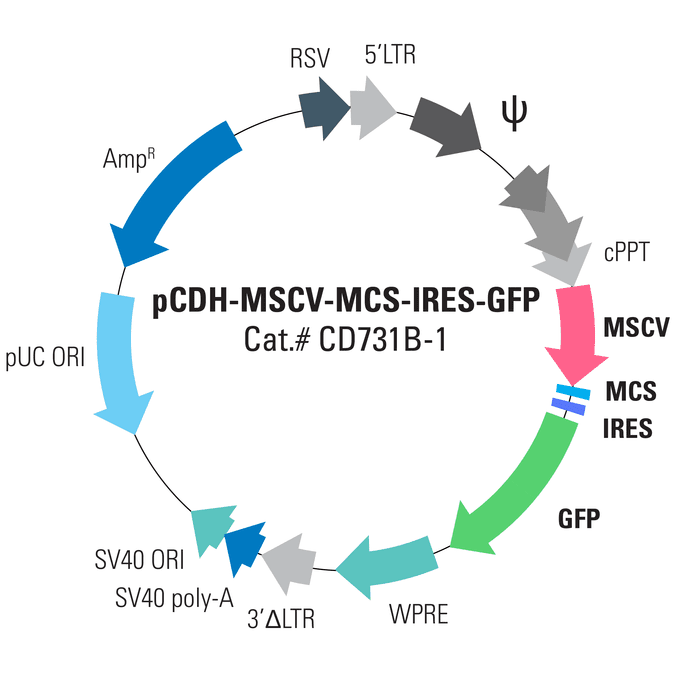 The pCDH-MSCV-MCS-IRES-GFP Cloning and Expression Lentivector drives expression of your gene-of-interest from the MSCV promoter, which provides strong expression in hematopoietic and stem cells. This lentivector also enables selection for transductants using a GFP reporter, which is co-expressed from the MSCV promoter using an IRES element.